I went into this fall with an empty freezer, what some people call a meat crisis. 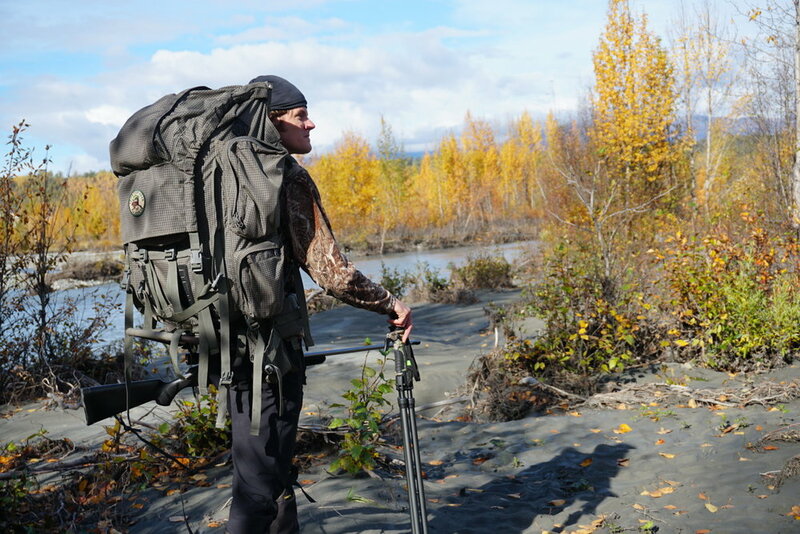 With Alaska out-of-state hunting licenses costing quite a bit of money, there wasn't even a plan to remedy the situation. 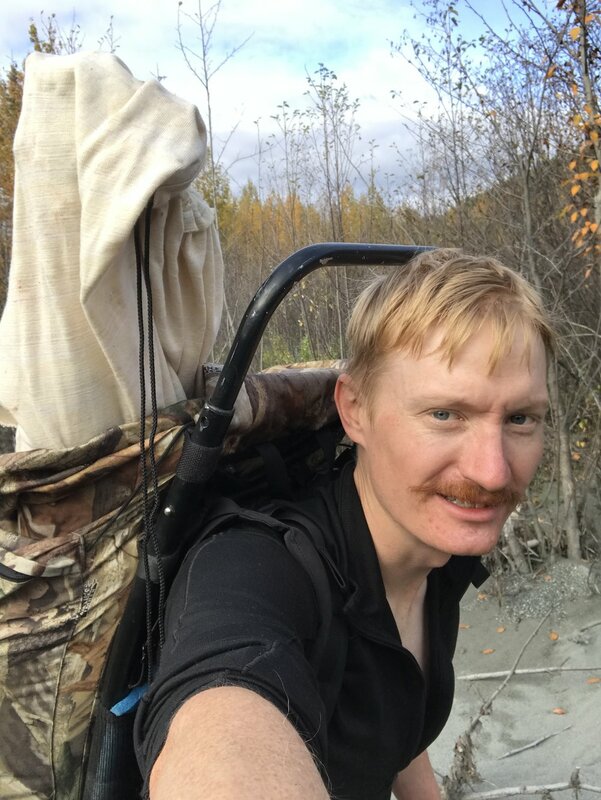 I've grown accustomed relying on a busy hunting season to fill the freezer with meat, something even more helpful since AK food prices are understandably high. The situation needed remedied! That's when my friend Forest rang me up. I met Forest on my first day at the University of Idaho and immediately became friends and eventually roommates. Though we shared many adventures together, we never had the chance to hunt with each other. I was more than eager when he asked if I'd help him fill his moose tag. The permit he drew contains a lot of private land. He did his homework, and secured few private parcels of land to hunt. While both places had good moose sign on them, each was relatively small. Our success would depend on the chance a legal animal walking though these smallish tracts of private land. When describing one of the hunting areas to me, Forest mentioned that we might need a rope to get back up a particularly steep, but short part of the hike. The thought of hiking a 1000+ pound animal up a hill that required a rope did raise some flags in my mind, but I'm always up for that kind of adventure. When we got the area, the short steep section Forest mentioned turned out to be the steepest part of a longer, still steep hill. When we got to the bottom he asked, "do you think we can get a moose out of here?" "It's gonna be tough," I answered, "but hell yeah, we can do it!" Day one and two passed without seeing any animals. The morning of day three found us once again amongst the willows, periodically moose calling, sipping coffee, and waiting for something to happen. By the time lunch rolled around, we were beginning to think the moose that had been frequenting the area had moved on. Feeling slightly less hopeful, we sat on a log and snacked on sardines and cheese. I heard a noise to our left, but attributed it to another spawned-out salmon splashing in the slough next to us. Load up another cracker and tinned fish. I heard the rustling sound again. I looked up from lunch to see a brown shape moving fast through the willows and dry stream bed in front of us. "MOOSE!" I whispered with more than a little excitement. "Grab your gun! 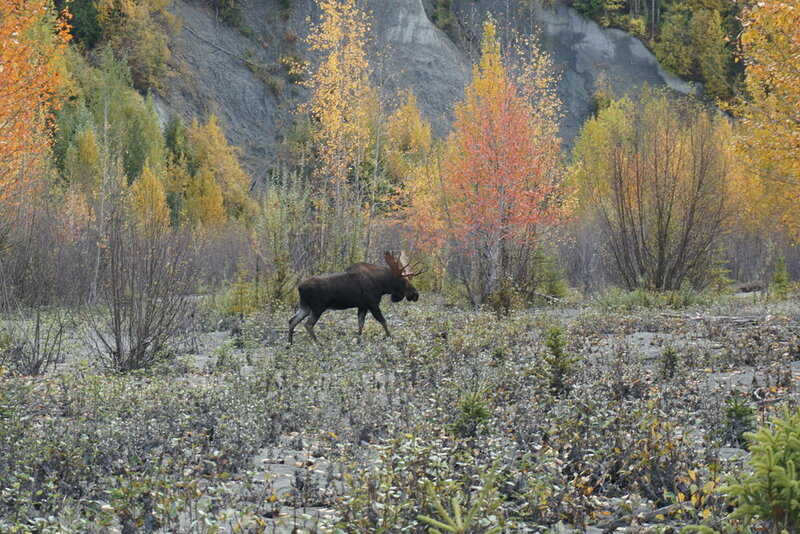 "The cow moose was moving fast, quartering toward us, but behind brush. Forest waited for it to come full view before smoothly pulling the trigger. And so the saying goes, now the work starts. 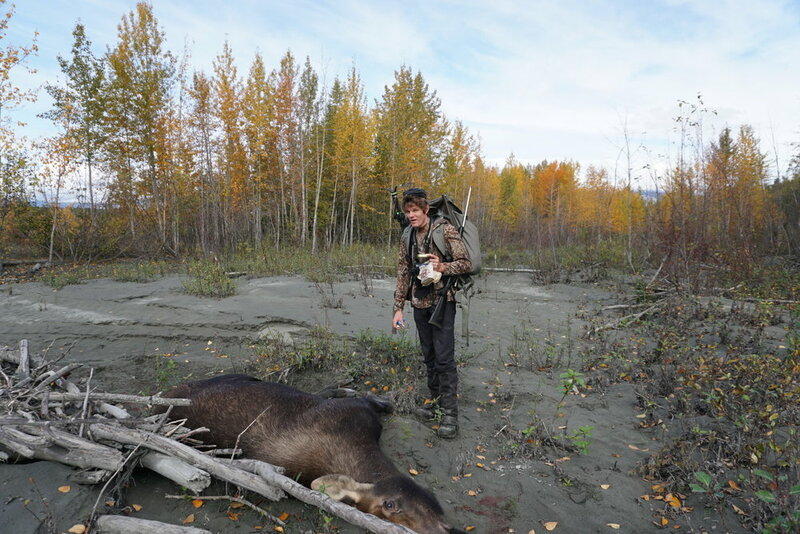 Skinning, gutting, and quartering such a big animal is no easy task. Adrenaline from the moment coupled with nerves of bears makes this task even tougher. We eventually got all the meat removed and relocated 100 yards away from the carcass. All that remained was the 8 trips up the hill to get the meat to the truck. We took it slow and steady, eventually getting it all home safe and sound. Next came the butchering. Cue the classic rock radio station, Coors light, and hour after hour of cutting. Thankfully, the more butchering I've done, the more I enjoy it. It is the final step of the whole process, and it really increases the satisfaction of harvesting an animal.